"That moment when you find the dress." 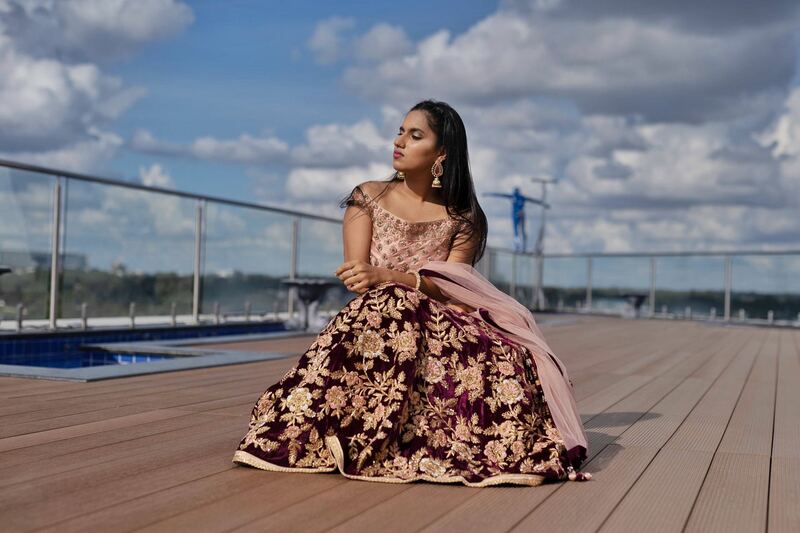 With the wedding season right around the corner, we all have been looking for something to look flawless at our friends wedding! I have all my friends and family running around to look for perfect outfits for all Wedding occasions. Also, I know how everyone looks forward to shooting the perfect wedding video and friends certainly are a big part of it. And these wedding videos stay with us forever so why not dress up in something that you'll always look back to and smile! 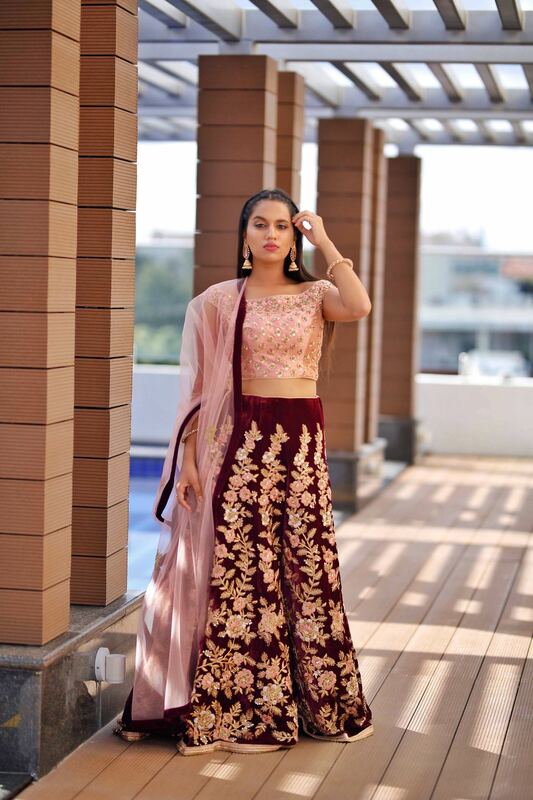 So if you are looking for ideas to shine bright like a diamond this wedding season then read along to find some styling and outfit ideas which will help you in picking the right outfit for you. There are so many Wedding events and for each occasions, we need to have a different set of outfit. So I styled my top 4 favourite outfits this wedding season from Mayeeka which consist of something for all kinds of events. Starting from a Lehenga and Gown! 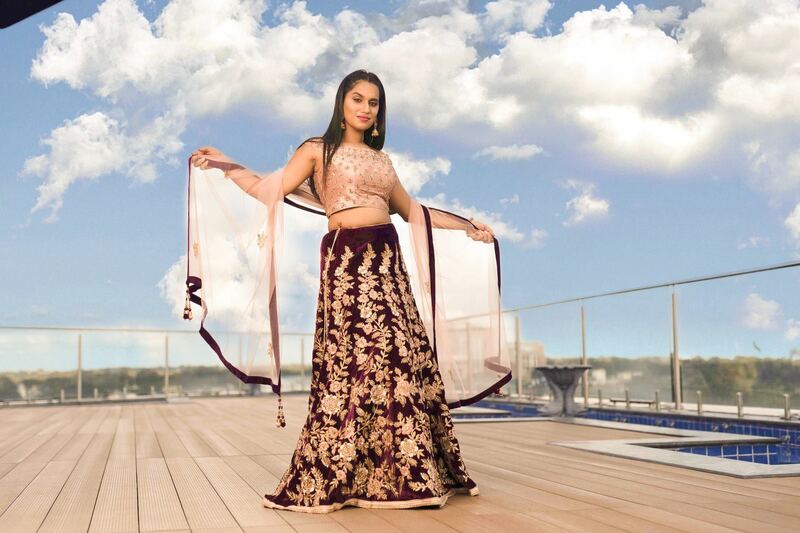 Ethnic wear, especially Lehengas, look so versatile and charming that they can make any women look beautiful. 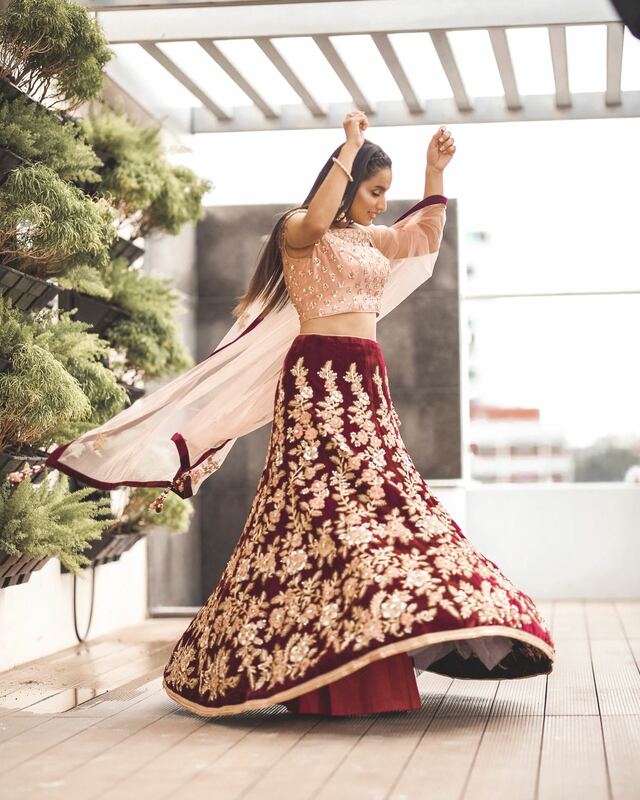 No matter what kind of event or occasion you attend, a beautiful piece of Lehenga coordinated with the right set of accessories can make you look elegant and sophisticated. So hereI picked this baby pink outfit with Maroon skirt because of the lovely work on it. The Print along with the work can easily accentuate your body and make it look incredible. I love how the outfit falls just at the right spot and hugs the body perfectly.